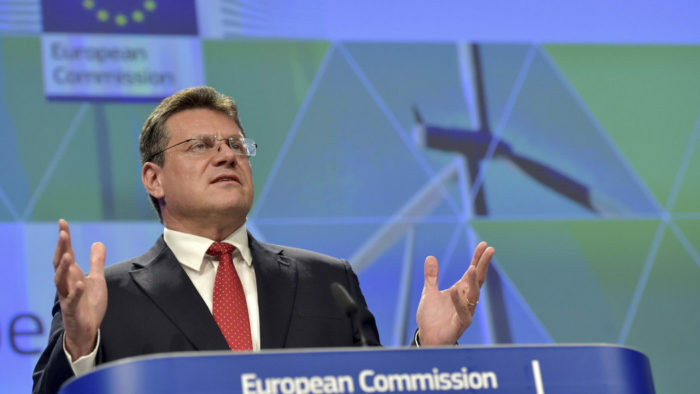 Seven EU member states missed the deadline for the submission of a draft energy and climate plans to the European Commission. The member states had until 31 December 2018 to turn in their National Energy and Climate Plans, and hence the Commission could evaluate them before the end of the year. However, Bulgaria, Czechia, Cyprus, Greece, Hungary, Luxembourg and Spain did not submit their work on time. Spain excused themselves as the new government had only six months to get it done as the before the election, not a single word had been written and therefore they had to start from the beginning. They promise that they will submit it soon. Ecological Transition Minister Teresa Ribera said that the ambitions are to switch to 100% renewable power by 2050 and switch from nuclear and coal power. Greece claimed that they will submit it by the end of January because the said that their publication is very detailed and included extensive consultation with all relevant bodies. Luxembourg knew that they will miss the deadline and it is due to new energy minister and her plan to sumbit a thorough plan. Other states have not revealed the reason for missing the deadline. However, the Czech plan is already available on the government website. Šefčovič urged the member states to do their work throughout 2018 but he was clearly not successful to persuade them to do their commitments. However, being late is nothing new for the EU members. Last year the Commission called on Belgium to comply with the EU legislation on air quality, by sending them letter of formal notice. Belgium has persistently failed to meet binding limit values for NO2, a pollutant gas, in the Brussels region since they came into force in 2010. The Antwerp agglomeration is also exceeding permitted values, despite a later 2015 deadline for entering into force. Moreover, the Commission referred France, Germany, Hungary, Italy, Romania and the United Kingdom to the Court of Justice of the EU for failing to respect agreed air quality limit values and for failing to take appropriate measures to keep exceedance periods as short as possible. The Commission also issued additional letters of formal notice to Germany, Italy, Luxembourg, and the United Kingdom on the grounds that they have disregarded EU vehicle type approval rules. The EC also opened infringement proceedings against Germany, Luxembourg and the United Kingdom in December 2016 with regard to Volkswagen Group and sent complementary letters of formal notice in July 2017 requesting further clarifications.